As a girl that loves music of all varieties imagine the thrill that shot through me the day I received an invitation to join a small group of Nashville locals for a cocktail hour in the backstage dressing rooms, a private tour and songwriter’s performance right up on the Grand Ole Opry stage and then free reign of the entire theatre to walk in the footsteps of those country legends. I’d spent a month in Nashville in September and hadn’t yet experienced the Opry so within an hour of receiving that invite I booked a flight and made arrangements to head back up to the home of American music. 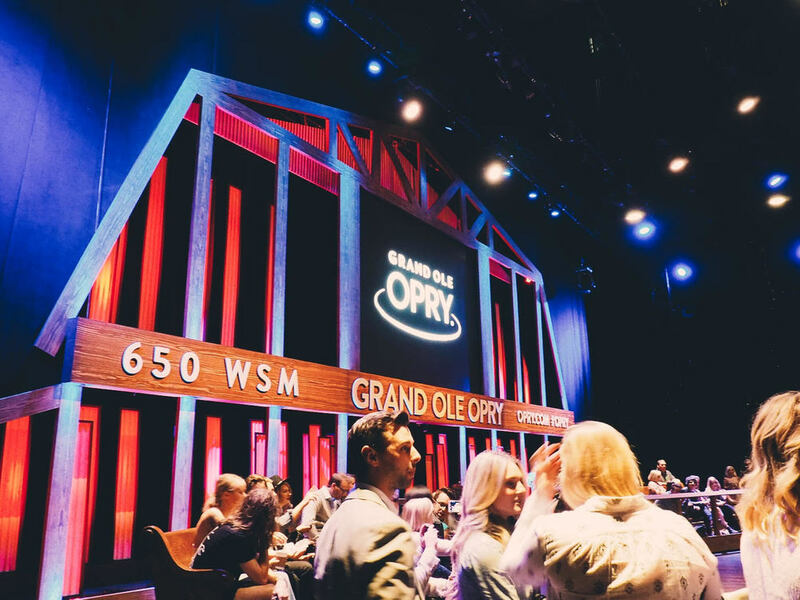 While the country stars of past paved the way for a new generation of musicians, each Grand Ole Opry performance is made up of official Opry members and guest artists too – together they represent performers across a broad spectrum of country music styles. Consider the current list of members for a moment: Clint Black, Emmylou Harris, Garth Brooks, Roy Clark, Charlie Daniels, Joe Diffie, Vince Gill, Trace Adkins and so many more. The night was everything I'd hoped it would be. The photos below are from a sweet little Nashville gal Tobias, that Ben and I met playing in the dressing rooms. As the night came to a close Ben and I took a walk down the long halls of the Opry resort and I reflected on what was a night I'll certainly never forget. I thought, how many people get to gaze into those mirrors where Dolly Parton and Carrie Underwood have applied makeup and dressed before a show? And how many budding stars hope to stand in that circle on the stage one day, getting their own chance at crooning for that crowd? And there we'd been. For a few hours it was all ours. See an extended version of this travel diary over on the FiftyTwo45 Quarterly. Big thanks to Ben Alleman and Tobias Ferrell for the photos!